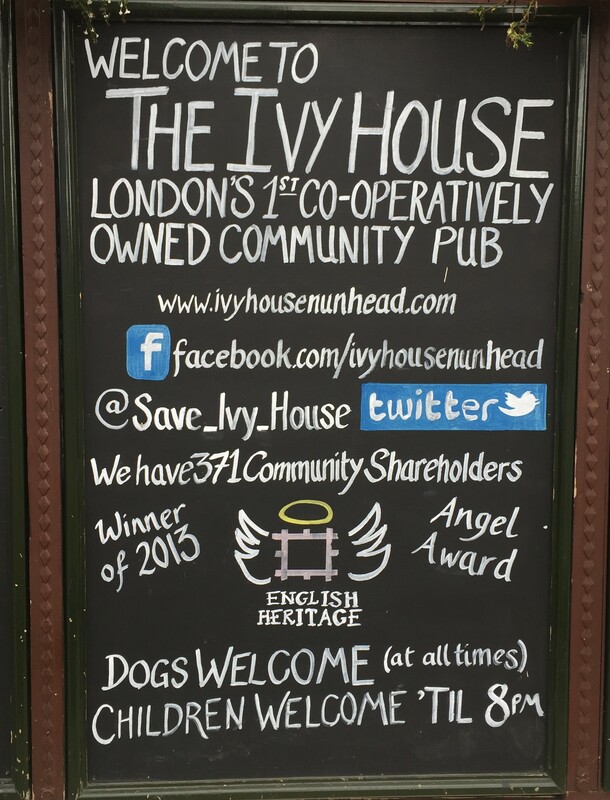 The Ivy House in Nunhead, with its narrowly rescued Grade II-listed exterior, impressive range of real ale and craft beer and palpable sense of community, seems to blueprint the future for local pubs. And that future is full of kids. Damn. How do you feel about children in pubs? Gone are the days when you could seal them in the car and pour broken remnants of ready salted through the window on your way back from the toilet. I like to think I tolerate them, but my Pavlovian response to children in pubs is usually to start swearing, as if to impress on the pint-sized interlopers the intrinsic “adultness” of the pub space. I just can’t help myself. It started well. Upon entry, we relaxed and soaked up the sedate atmosphere in the bright, empty front bar, with original 1930s benching, coloured glass and panelling hand-painted with gold lettering advertising the likes of “Trubrown Ale”. And soaked up a few pints of their guest ales too – on this occasion the Kernel brewery’s hazy, fruity Centennial pale ale. Isn’t this what pubs are supposed to be like? Intimate and insulated from the street; the interior supporting a welcome sense of historical continuity with the ale-suppers of 80 years ago; a short unpretentious menu; and fine beer to celebrate with or weep into amongst your fellow man? 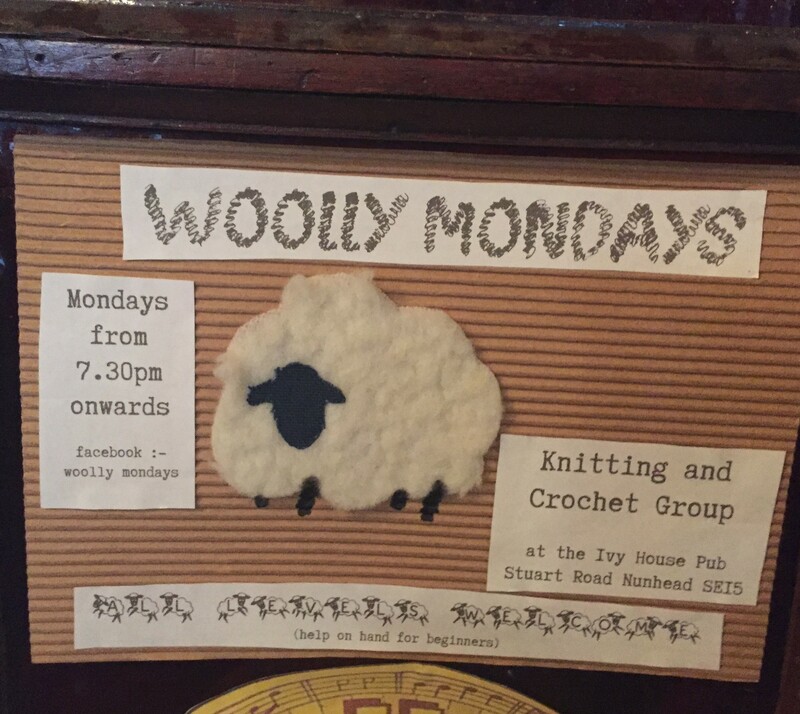 It was nearly very different for this pub. Opened in the middle of a 1930s slump in brewery revenues as an “improved” pub by Truman’s, its roomy dimensions were intended for family-friendly entertainment and dining, not just drinking. Despite being a popular and listed local, the pub was boarded up in 2012, slated for gutting and converting into flats. 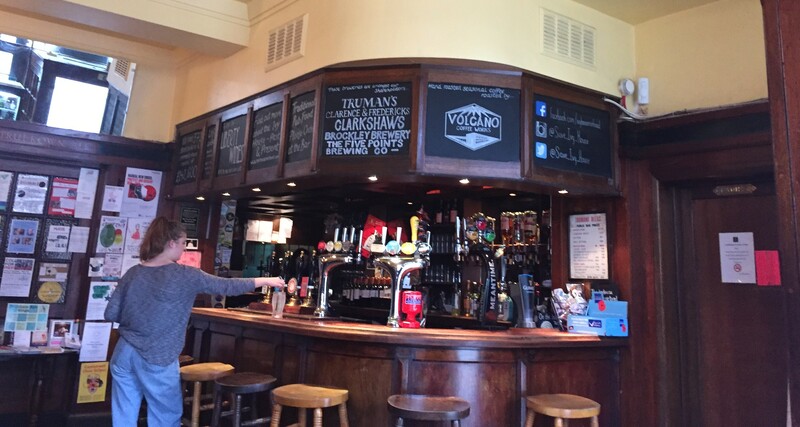 Community volunteers blocked the move by applying to Southwark Council for the pub’s status as an Asset of Community Value. 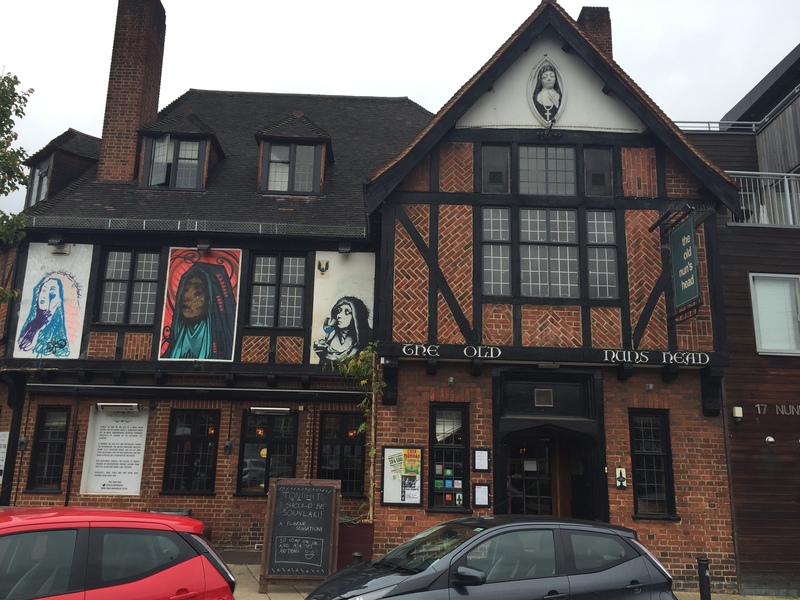 They then pooled their resources and bought the pub, saving its beautiful historic interior and turning it into London’s first co-operative pub. 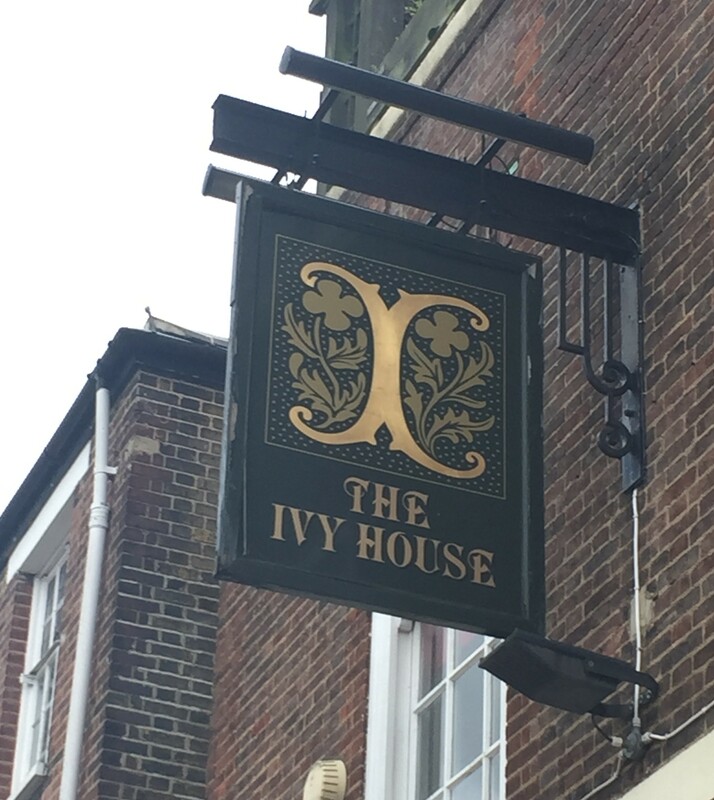 Fittingly, the Ivy House then returned to its family-friendly, “improved” origins. And it’s very family-friendly. By one o’clock, we were the only adults unaccompanied by kids in there, apart from one bloke at the bar who performed an entire circuit of the central servery in a vain attempt to read the paper without an infant tugging on his trouser leg. 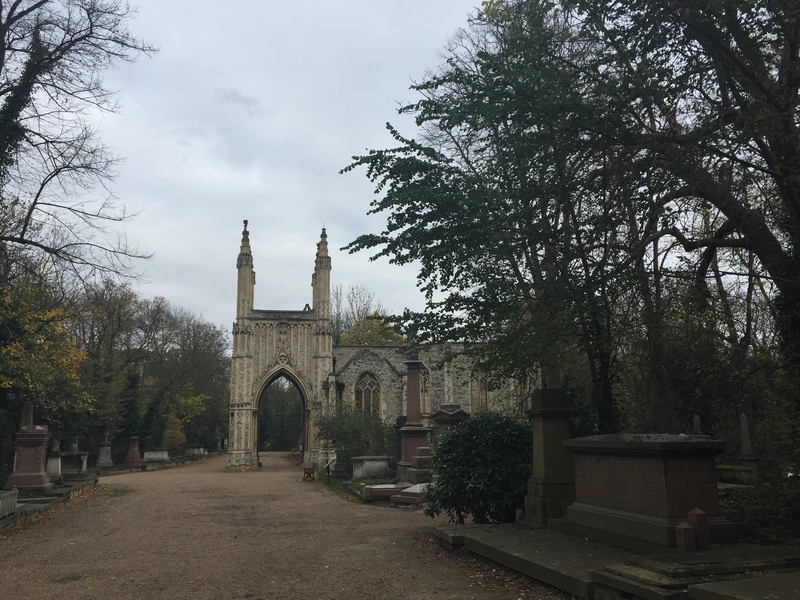 Maybe I was just grumpy because we had just, at considerable expense, jettisoned our own offspring for an afternoon of child-free beer and ruin-bibbing in Nunhead cemetery. After all, I’m happy to accept that pubs need every customer they can get. 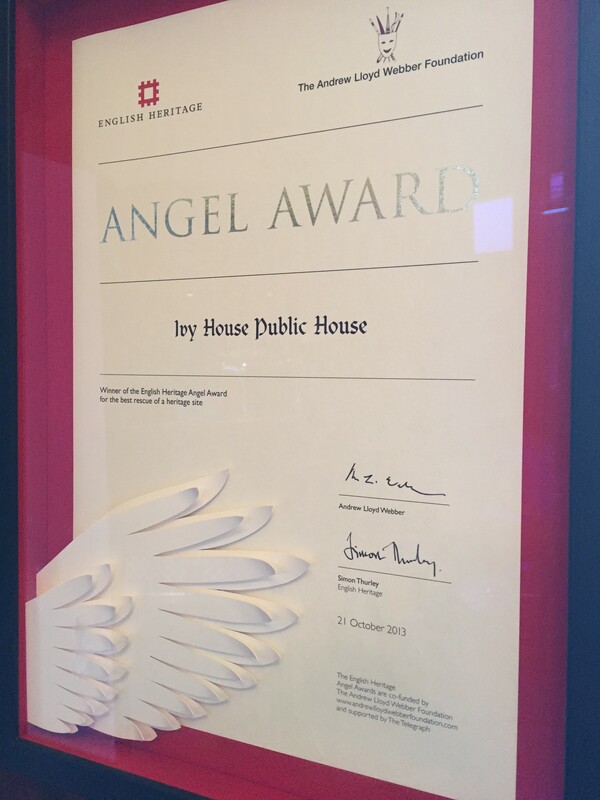 So the Ivy House offers plenty to those in the community who don’t just want to gaze mistily into the bottom of their pint pot. It acts as a community hub around which a profusion of local services and events revolve. The walls jammed with posters are testimony to that. 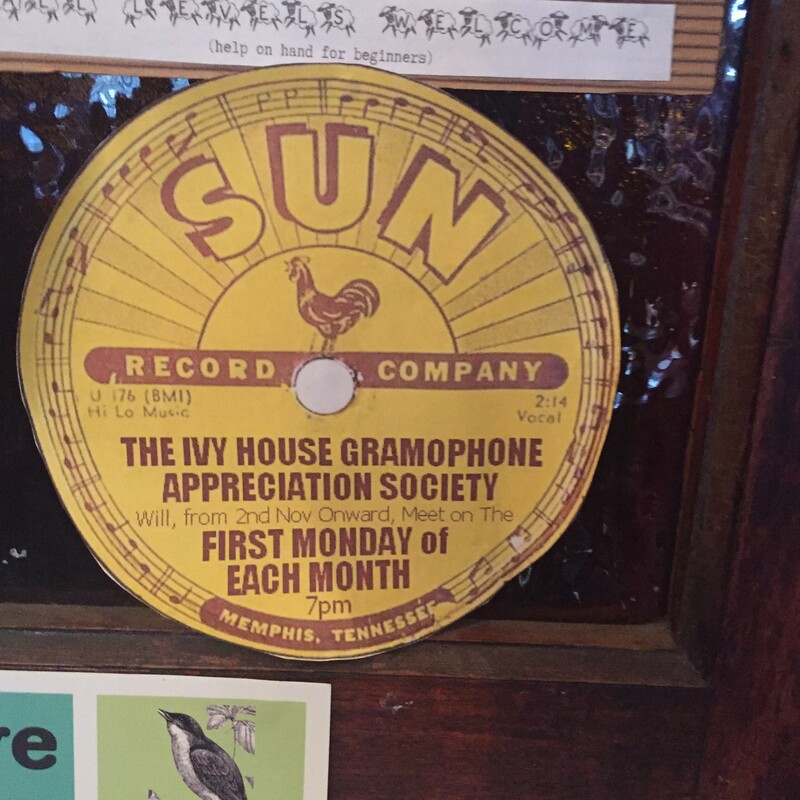 Enjoy listening to gramophone records? Or poetry readings? Skiffle and blues? Want to play chess, humiliate yourself in a pub quiz or practise yoga? At a push, yes – although we made a mental note to avoid the upcoming morris dancing night. However, the old fashioned beer drinker who wants nothing more than to be left in peace is hardly neglected. Guest ales at the time of our visit included Camden Gentleman’s Wit, Siren Liquid Mistress, Beavertown Gamma Ray and Franklin’s Mama Knows Best. 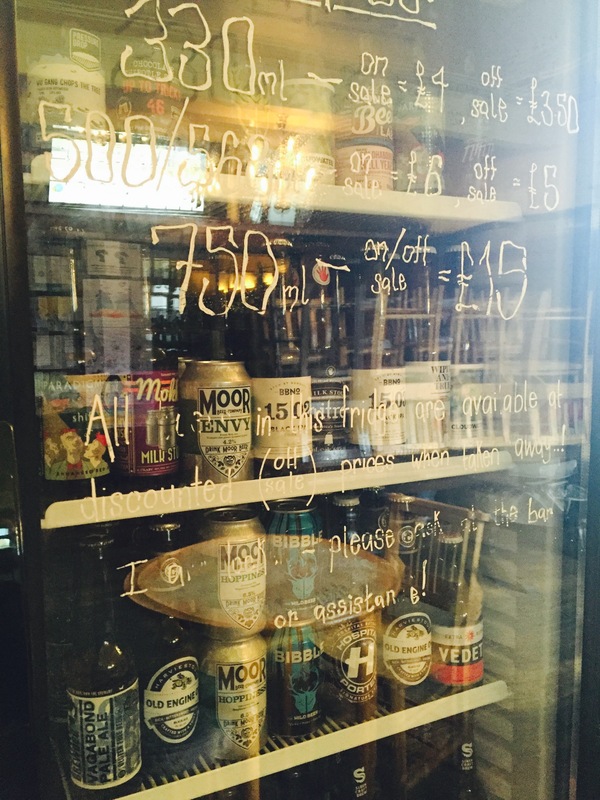 A coolbox in the corner houses a range of bottled and canned beverages like a sweet and roasty Mokko milk stout and Vagabond Pale Ale. Liberty wines are served as well as ethically-sourced Volcano coffee. But, yes, there’s something of the village hall and jam and Jerusalem about the Ivy House. I bet it’s an absolute godsend if you live there, especially if you’re a mum who wants to send their kid to sleep through very slow alcoholic osmosis. But it’s hard to indulge in guilt-free daytime drinking when you’re in the middle of a mums and toddlers coffee morning. To be fair, we weren’t there after eight, when kids are banished and, I like to think, everyone gets naked and there’s bare-knuckle boxing out the back. From the front bar you can walk through to a grand function room glistening with a glitterball and gold curtains. 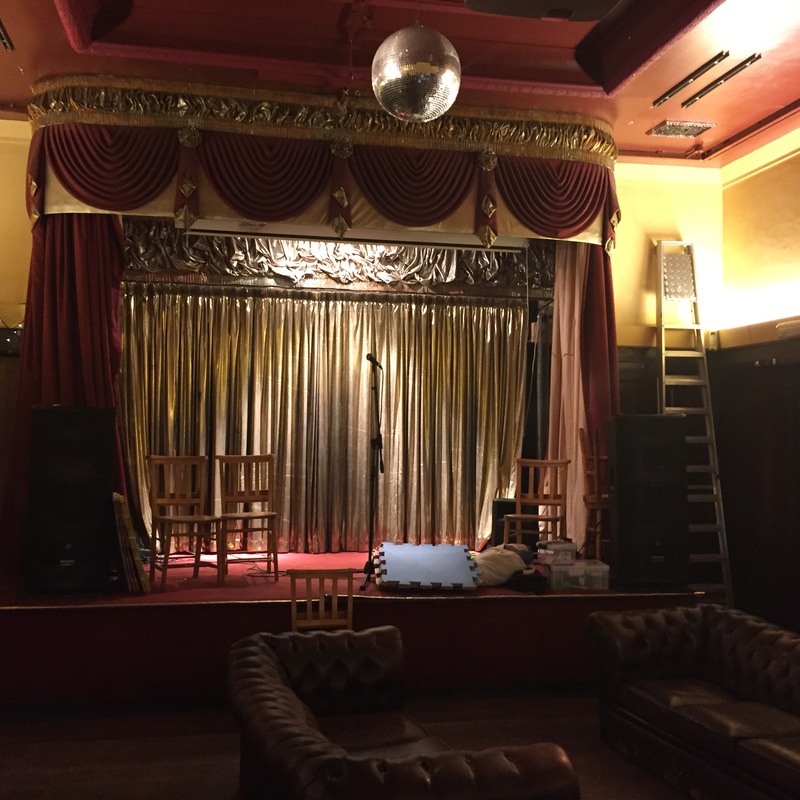 The stage is a stalwart of the 1970s pub rock scene, Joe Strummer, Dr Feelgood and Ian Dury all strutted here and it still gets a stomping-on at weekly gig nights. 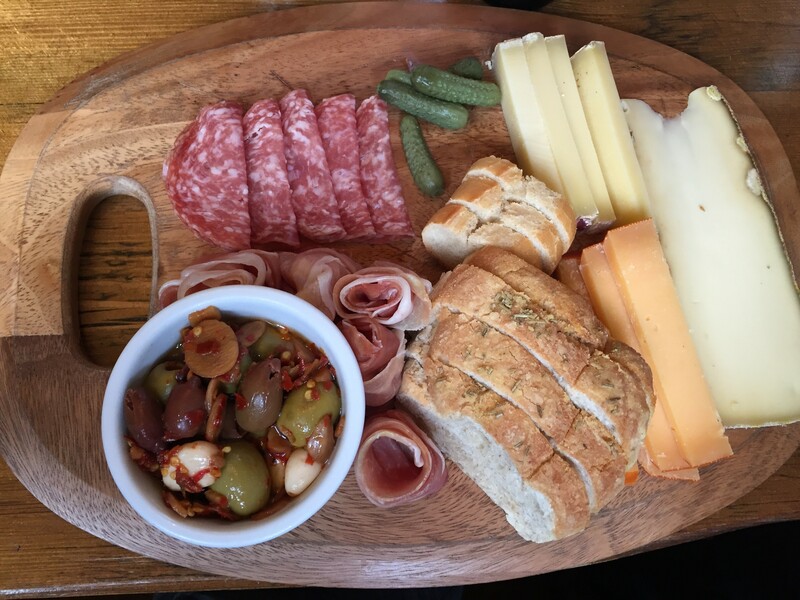 The staff are welcoming and the food is great – Borough Market-sourced Tomme, Gouda and Comte supported the kind of Mediterranean ploughman’s that’s de rigueur these days and a brisket burger was elbow-drippingly succulent. 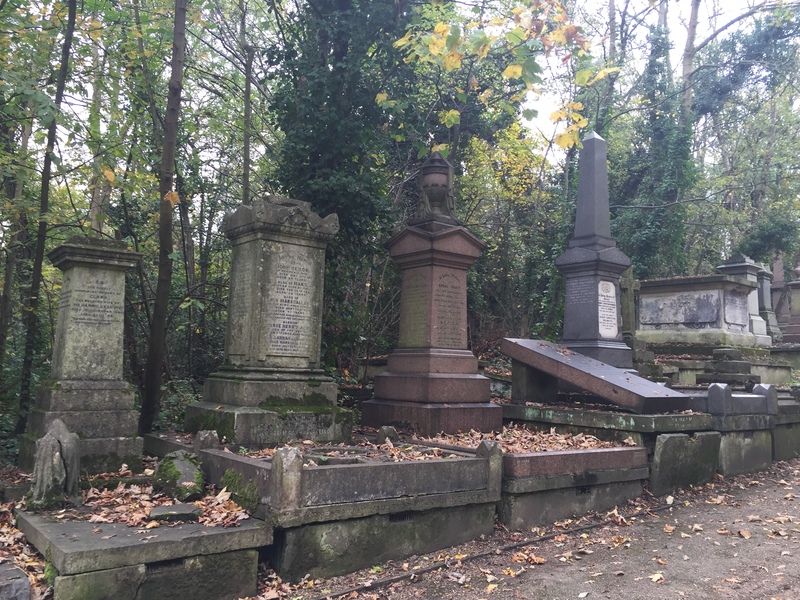 Fortified, we carried on with a stroll down the avenues of Nunhead cemetery, one of the “magnificent seven” of suburban Victorian London cemeteries. This sombre 50-acre wilderness, many of its Gothic graves and monuments choked with foliage and its Anglican chapel roofless and exposed to the elements, is a must-see in the area. Among the most touching memorials are those to 580 Commonwealth soldiers of the First World War and one to the nine Walworth lads aged 11-14 who drowned when their boat capsized on a boy scouts trip to the Isle of Sheppey in August 1912. Alcohol’s a time-honoured method of dealing with thoughts of one’s own mortality and delaying picking up one’s own children, so we headed to the Old Nuns Head on Nunhead Green for a quick one. 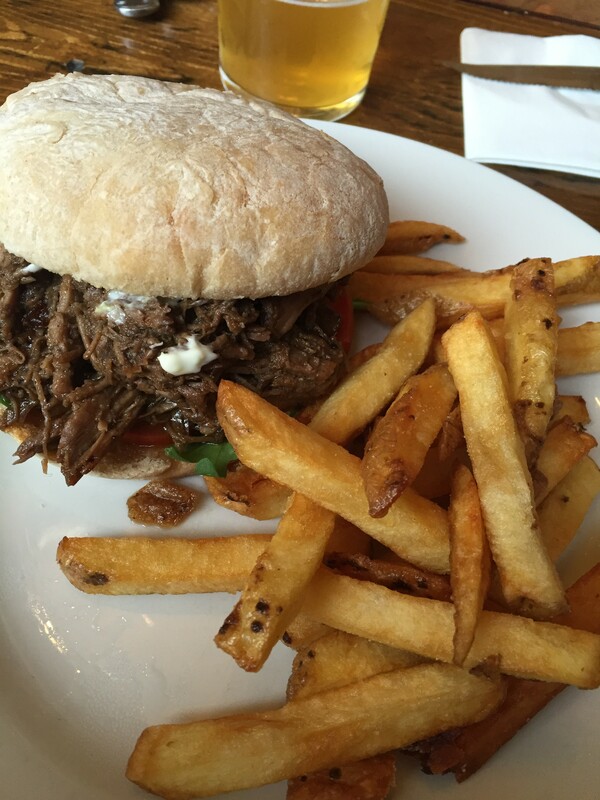 It’s a 1930s brick-and-timber, spacious, laidback pub whose cup overfloweth with great beer (notably from Belleville). And what’s that? All cask beer is only £3 a pint on Mondays – now who says that has to be treated as a school night?). The nun imagery outside indicated a Mother Teresa-like devotion to scourging of the liver. 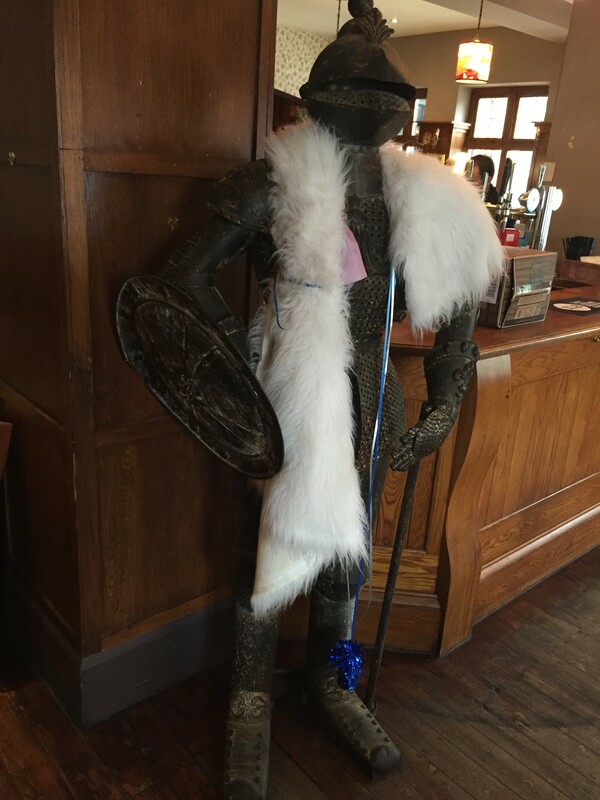 We cloistered ourselves in “the library”, surrounded by books, adjacent to the fireplace and guarded by a rather camp knight, then drank and jabbered incessantly enough to stop images of all those dead Victorian infants swimming into our minds. It worked. If the Old Nuns Head isn’t as worthy as the Ivy House, it’s younger and more fun. Its civic-mindedness extends just far enough to promise not to charge revellers entry fees to its New Year party night and to put on regular quizzes, comedy nights and DJs. 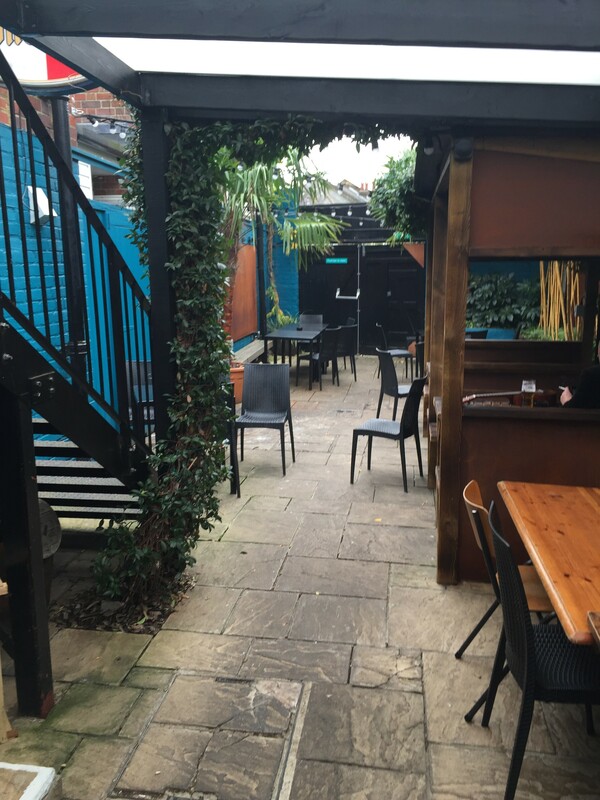 There’s a sheltered garden at the rear for smokers and a pop-up supplies good burgers. A pub we could happily vow to live a contemplative existence in for the rest of our natural, and not a kid in sight. This entry was posted in Drinking, Nunhead.